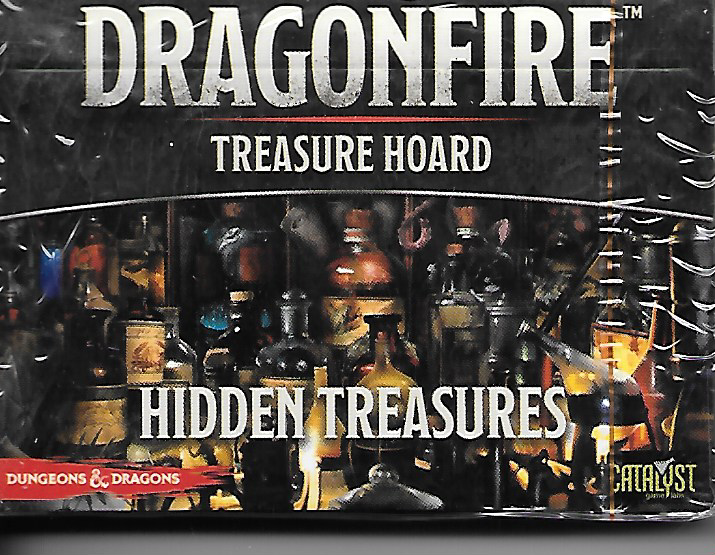 Hidden Treasures contains 52 Magic Items specifically for use by retailers for their Dungeons & Dragons Dragonfire community. 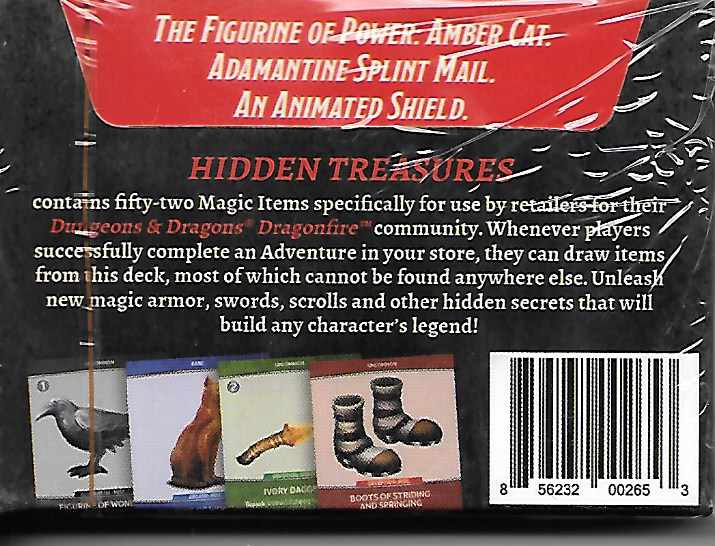 Whenever players successfully complete an Adventure in your store, they can draw items from this deck, most of which cannot be found anywhere else. Unleash new magic armor, swords, scrolls, and other hidden secrets that will build any character's legend!